Home » Posts Tagged "weight-loss expectations"
Continuing in my miniseries on why obesity (defined here , as excess or abnormal body fat that affects your health) should be considered a disease, is the simple observation that obesity responds less to lifestyle treatments than most people think. Yes, the internet abounds with before and after pictures of people who have “conquered” obesity with diet, exercise, or both, but in reality, long-term success in “lifestyle” management of obesity is rare and far between. 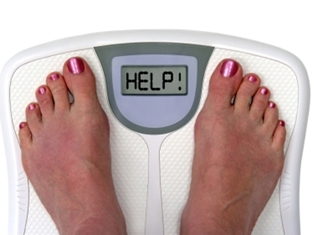 Indeed, if the findings from the National Weight Control Registry have taught us anything, it is just how difficult and how much work it takes to lose weight and keep it off. Even in the context of clinical trials conducted in highly motivated volunteers receiving more support than you would ever be able to reasonably provide in clinical practice, average weight loss at 12 – 24 months is often a modest 3-5%. Thus, for the vast majority of people living with obesity, “lifestyle” treatment is simply not effective enough – at least not as a sustainable long-term strategy in real life. While this may seem disappointing to many (especially, to those in the field, who have dedicated their lives to promoting “healthy” lifestyles as the solution to obesity), in reality, this is not very different from the real-life success of “lifestyle” interventions for other “lifestyle” diseases. Thus, while there is no doubt that diet and exercise are important cornerstones for the management of diabetes or hypertension, most practitioners (and patients) will agree, that very few people with these conditions can be managed by lifestyle interventions alone. Indeed, I would put to you that without medications, only a tiny proportion of people living with diabetes, hypertension, or dyslipidemia would be able to “control” these conditions simply by changing their lifestyles. Not because diet and exercise are not effective for these conditions, but because diet and exercise are simply not enough. The same is true for obesity. 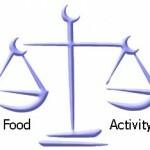 It is not that diet and exercise are useless – they absolutely remain a cornerstone of treatment. 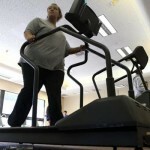 But, by themselves, they are simply not effective enough to control obesity in the vast majority of people who have it. 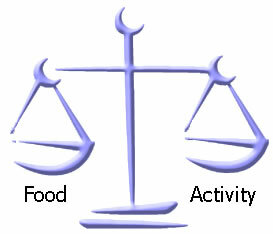 This is because, diet and exercise do not alter the biology that drives and sustains obesity. If anything, diet and exercise work against the body’s biology, which is working hard to defend body weight at all costs. Thus, it is time we accept this reality and recognise that without pharmacological and/or surgical treatments that interfere with this innate biology, we will not be able to control obesity in the majority of patients. Whether we like it or not, I predict that within a decade, clinical management of obesity will look no different than current management of any other chronic disease. Most patients will require both “lifestyle” and probably a combination of anti-obesity medications to control their obesity. This does not take away from the importance of diet and exercise – as important as they are, they are simply not enough. Despite what “lifestyle” enthusiasts will have us believe, diet and exercise are no more important (or effective) for the treatment of obesity, than they are for the treatment of hypertension, diabetes, dyslipidemia, depression, or any other condition that responds to “lifestyle” interventions. In the end, most patients will require more effective treatments to manage their obesity and all of the comorbidities that come with it. The sooner we develop and make accessible such treatments, the sooner we can really help our patients. Building on the resounding success of Kananaskis, Montreal and Vancouver, the biennial Canadian Obesity Summit is now setting its sights on Toronto. If you have a professional interest in obesity, it’s your #1 destination for learning, sharing and networking with experts from across Canada around the world. 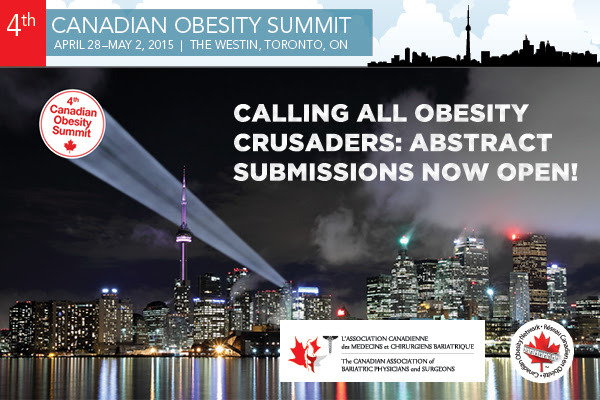 In 2015, the Canadian Obesity Network (CON-RCO) and the Canadian Association of Bariatric Physicians and Surgeons (CABPS) are combining resources to hold their scientific meetings under one roof. 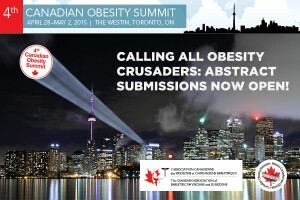 The 4th Canadian Obesity Summit (#COS2015) will provide the latest information on obesity research, prevention and management to scientists, health care practitioners, policy makers, partner organizations and industry stakeholders working to reduce the social, mental and physical burden of obesity on Canadians. The COS 2015 program will include plenary presentations, original scientific oral and poster presentations, interactive workshops and a large exhibit hall. Most importantly, COS 2015 will provide ample opportunity for networking and knowledge exchange for anyone with a professional interest in this field. I look forward to seeing you in Toronto next year! Over the next three days, I will be in Waterloo, Ontario, attending the 4th biennial Canadian Obesity Student Meeting (COSM 2014), a rather unique capacity building event organised by the Canadian Obesity Network’s Students and New Professionals (CON-SNP). CON-SNP consist of an extensive network within CON, comprising of over 1000 trainees organised in about 30 chapters at universities and colleges across Canada. Students and trainees in this network come from a wide range of backgrounds and span faculties and research interests as diverse as molecular genetics and public health, kinesiology and bariatric surgery, education and marketing, or energy metabolism and ingestive behaviour. Over the past eight years, since the 1st COSM was hosted by laval university in Quebec, these meetings have been attended by over 600 students, most presenting their original research work, often for the first time to an audience of peers. Indeed, it is the peer-led nature of this meeting that makes it so unique. COSM is entirely organised by CON-SNP – the students select the site, book the venues, review the abstracts, design the program, chair the sessions, and lead the discussions. Although a few senior faculty are invited, they are largely observers, at best participating in discussions and giving the odd plenary lecture. But 85% of the program is delivered by the trainees themselves. Apart from the sheer pleasure of sharing in the excitement of the participants, it has been particularly rewarding to follow the careers of many of the trainees who attended the first COSMs – many now themselves hold faculty positions and have trainees of their own. As my readers are well aware, I regularly attend professional meetings around the world – none match the excitement and intensity of COSM. I look forward to another succesful meeting as we continue to build the next generation of Canadian obesity researchers, health professionals and policy makers. 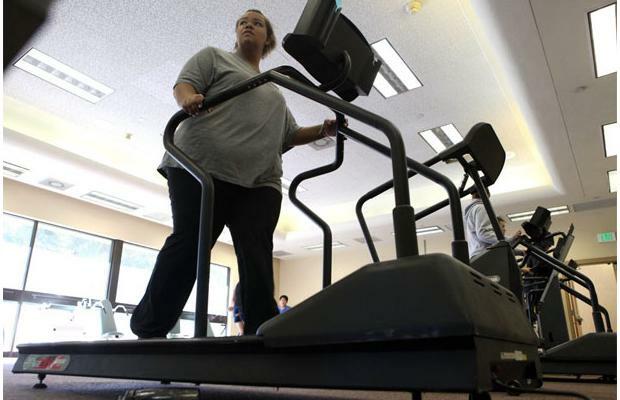 Can Private Solutions Tackle Obesity? In my final instalment of commentaries on the right-wing Fraser Institute’s report claiming that obesity is overstated and that Governments may best stay out of trying to tackle this problem (except perhaps to provide treatments to those with more severe obesity), here are the arguments that the report puts forward favouring private solutions. This rather abhorrently worded paragraph reflect all that is wrong with most public discussions on obesity – irrespective of political ideology – namely the notion that obesity is largely a matter of choice and that excess weight is something people can simply chose to drop if only they so chose by giving up their “mistakes”. It is in this single paragraph that essentially makes the entire report largely irrelevant, as it is evident that the authors themselves struggle with fully understanding the actual nature of the problem they are trying to address. Indeed, the whole tenor of individual “responsibility” interwoven with the language of “shame and blame” shows virtually no understanding of the real causes of the obesity epidemic or of the complex biology that people challenged by this problem face in trying to control their weight. So, while we may quibble about whether or not the government is the best institution to tackle obesity or not, no meaningful discussion of solutions to the problem are possible unless we go beyond blaming the individuals struggling with this condition. And certainly, while private enterprise may in some cases provide solutions, given the number of money printing weight-loss scams out there, much of this can certainly be construed as simple exploitation of a vulnerable and desperate population. If this is what private enterprise is about – count me out.